Knowing about Ramadan can only make out faith more strong. Ramadan Ashra Names with Duas in English, Urdu, Arabic Images is shared today with PDF to download for free. Ramadan Kareem starts with the visual sighting of the crescent moon and lasts for 29 or 30 days. God has divided the blessed month in three Ashras (Stages). First Ashra is dedicated to the Mercy of God. Second Ashra grants the Forgiveness of Allah, and Third Ashra is dedicated to the Safety from Hell (Jhanum). Each Ashra consists of 10 days and has a particular significance. There are Specific Dua of Ramadan Ashras. Meaning of Ashra: The word Ashra belongs to the Arabic language whose meaning is “Ten”. 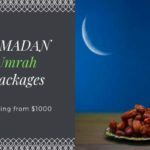 God has divided the month of Ramadan into three Ashras, each consist of 10 days. 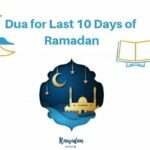 The first ten days, First Ashra, of Ramadan Kareem is dedicated to the Mercy of God. Everyone should try to get benefit from these days and seek the Mercy of God. Allah Almighty showers His mercy on those people who became merciful for others. So try to be nice and kind to people around to attain the mercy of God. Try to help people in their difficult time and Allah will help you in your tough time. Try to recite this Dua more and more in 1st Ashra to seek the Mercy of God. Second Ashra, the mid ten days, is dedicated to the Forgiveness of God. The days grants the forgiveness of Allah but if someone asks forgiveness from God with a promise of not committing it again. So, do plenty of Astaghfar to achieve Allah’s Forgiveness. Recite this Dua in the Second Ashra and forgive people around you and make your heart free of anger for them. Allah will surely do the same for you. Ma apny Parwardigar se apny gunohon ki Mafi Mangta hun. Recite this dua to attain safety from hellfire. O, Allah! Save me from the Hell – Fire. Hence, Ramadan Ashras gives a chance to attain Allah’s Mercy, Forgiveness, and Freedom from Hell Fire in stages. 1st ten days train yourself to be merciful with others, in next Ashra try to Forgive others and Allah will do the same for you. And the last Ashra gives you a chance to ask for freedom from hellfire. 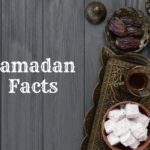 Ramadan Kareem is the 9th month of Islamic Calendar in which Muslims refrain themselves from eating, drinking and, immoral thoughts and deeds by fasting from dawn to sunset. 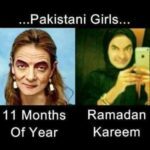 The month has great importance for Muslims due to its countless blessings. God had sent down the first Quran verses on our beloved Prophet (PBUH) in the month of Ramadan. The other reason for its importance is Laylat-ul_Qadar which shows up in an odd night from the last 10 days of Ramadan. Besides this reason, the month is dedicated to fasting, which is the fifth pillar of Islam. As Allah (SWT) said: fasting is for me except all the deeds of Ibn-e-Adam, and I will return for it. CHECK OUT The Ramadan Asra Duas with Image and PDF to download.